Darkfall - The New Dawn is upon us! 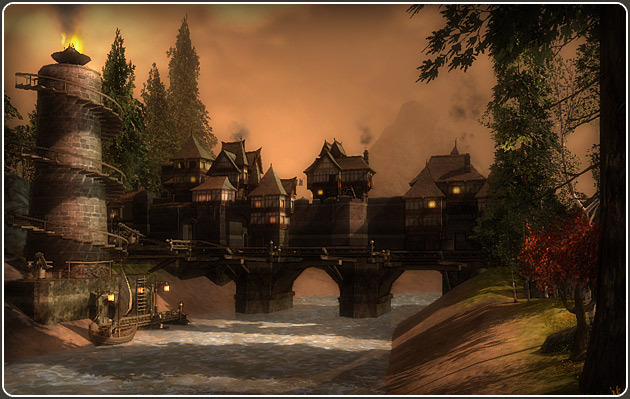 Home ‹ Darkfall New Dawn ‹ Darkfall – The New Dawn is upon us! Darkfall – The New Dawn is upon us! 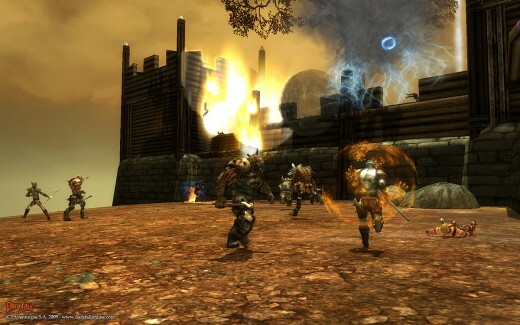 Darkfall is a gaming franchise that originally launched in February 2009. It’s also one of the games that Lux Arcana played the longest – Darkfall Online (DFO) February 2009 to November 2011. And then when it re-launched as Darkfall Unholy Wars (DFUW) from December 2012 to September 2014. That’s about four and a half years! And why did we play it for so long? Because it was one of the few games that made us work together as a clan. Whether that was fighting other players in the wilderness, defending the battlements of our city, crafting, gathering or farming mobs – we succeeded because we pulled together in the same direction. MMORPG where individual and clan reputation matter. When we played, it had a thriving player economy with naval warfare, sieges involving hundreds of players, a vast hand-crafted world to get completely lost in – discovering hidden temples, tunnels and treasure troves. And it was a game where all of us experienced some of the biggest adrenaline rushes a game’s ever brought us – on a daily basis. The sense of achievement when we won a siege, or a small battle at a mob spawn were great – and haven’t really been repeated in any game sense. It’s why many of those who played Darkfall say it ruined gaming for them – there’s just not ever been anything that’s come close to it since! We stopped playing DFO because its developers had switched focus to developing DFUW. And although we enjoyed DFUW it didn’t have the same depth as DFO. But in 2016 two small companies got the licence to produce their own versions of DFO, using the DFO game engine. One of those is ‘Ubergames’. Ubergames is led by a group of three friends who’re working to bring us ‘Darkfall New Dawn’. And their plans for Darkfall are – in very simple terms – to make it a fantasy version of EVE online. We’ve chosen Ubergames’ ‘Darkfall New Dawn’ because their vision for Darkfall is almost exactly what we think Darkfall should be. Ubergames have announced that their three week stress test is starting at 2pm Paris time on Tuesday 28 June. It’s completely free and it’ll run for three weeks. And then – without wiping – their six to nine month-long ‘InDev’ – in development- period will start (this will be pay to play). Why does this matter for Lux Arcana? Well, we’d like to see what interest there is from our community to get into a new and developing version of Darkfall. Ubergames have said player city/hamlet ownership will carry over into actual launch. The cities will be wiped – except for the bank – but clans will keep ownership. This rewards clans for helping Ubergames during the InDev period. And it moves veteran players away from the starting locations to give newbies a quieter start. For those of you who remember DFO, we’ll soon be putting up a post on our forums that explains the main changes Darkfall New Dawn will bring over DFO. But if you can’t wait until then, have a read of the (very detailed) ‘Guided Tour’ Ubergames has created. You can also see the patch notes they’ve got ready for their day one of the stress test patch! If you’re an existing/past Lux Arcana member and want to join us for this latest adventure in the Darkfall world of Agon, please sign up in this thread. Registration is free and enables you to reply to articles or post on our forums. 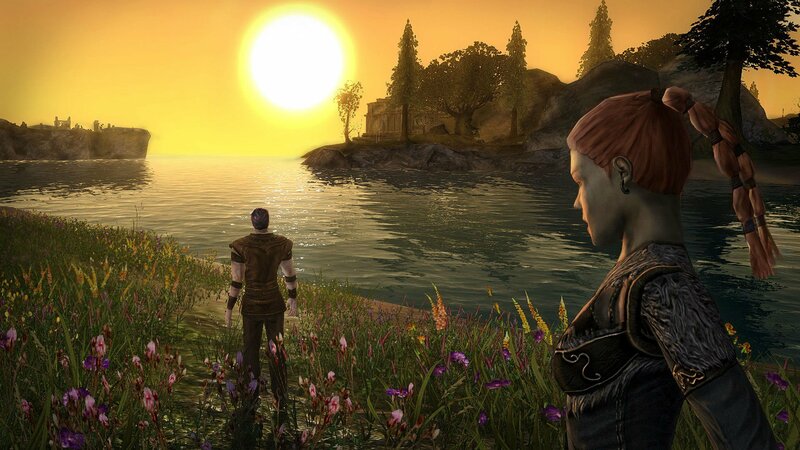 Darkfall: New Dawn announces launch date! Lux Arcana prepares for ArcheAge! Our Double Norwegian Kickboxing Champion! Lux Arcana returns to Darkfall Unholy Wars! Portal and Division pages powered by Wordpress. Forums powered by phpBB® Forum Software © phpBB Group.